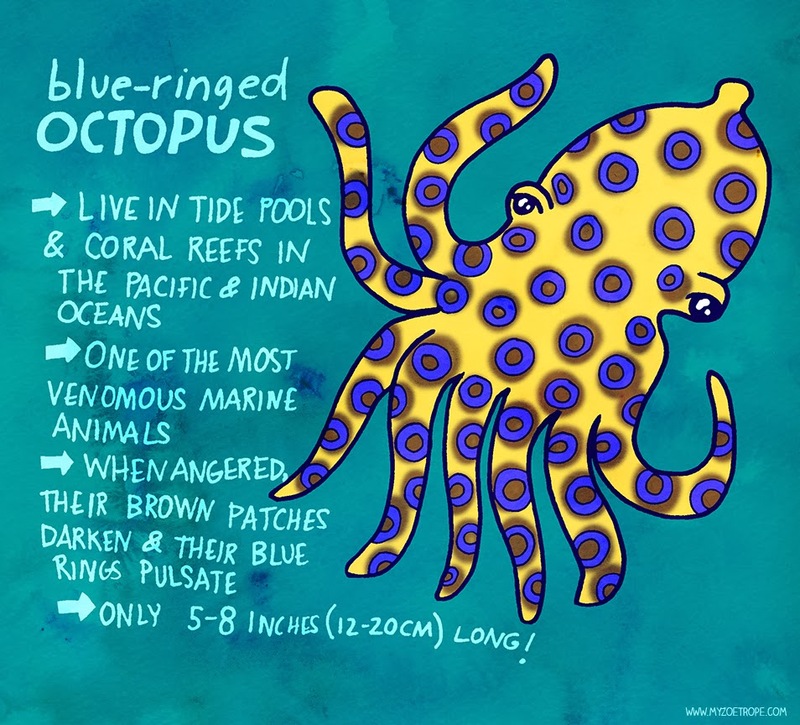 Labels: Curiosity Animals, Mollusca, Noe, poison, poison., seas and rivers, seas and rivers. 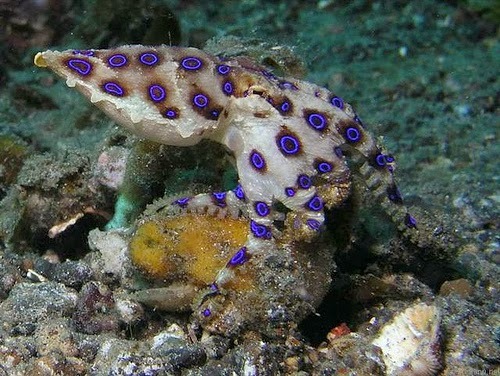 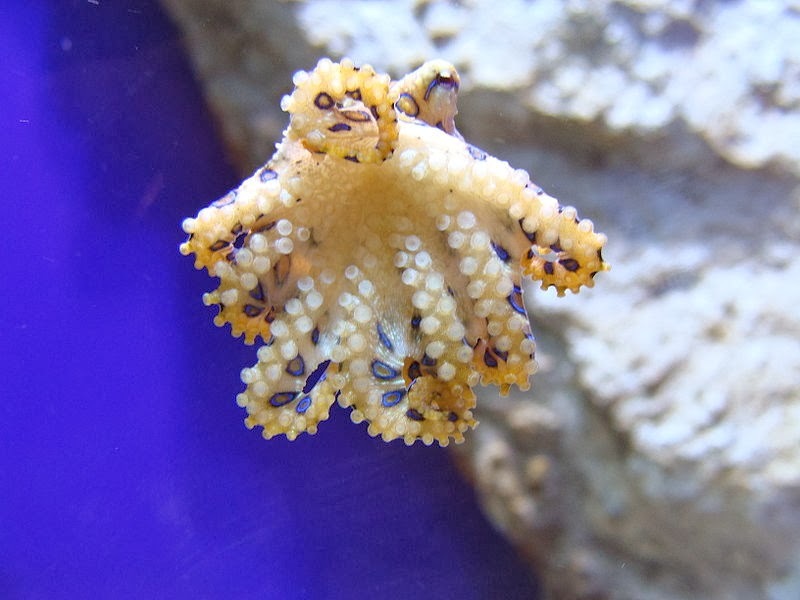 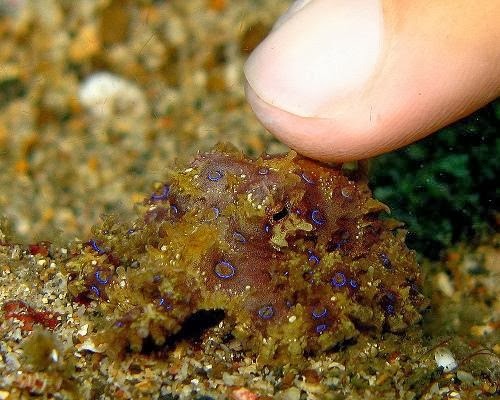 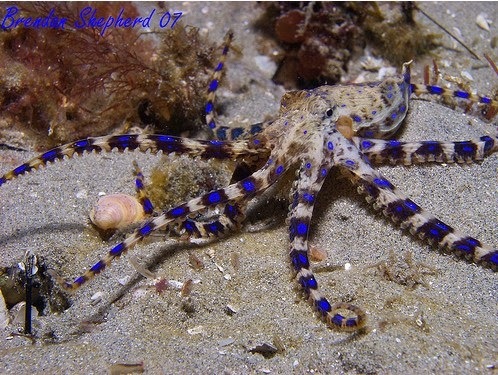 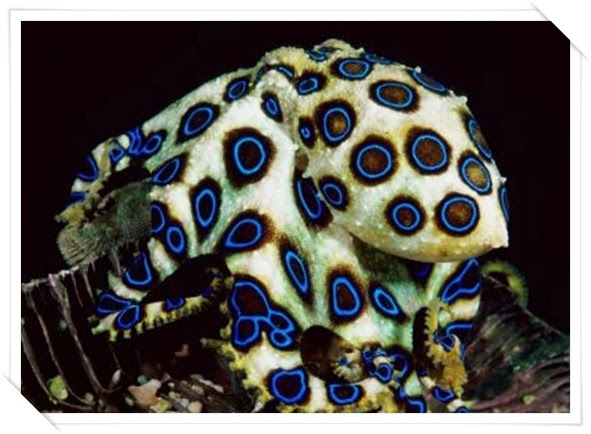 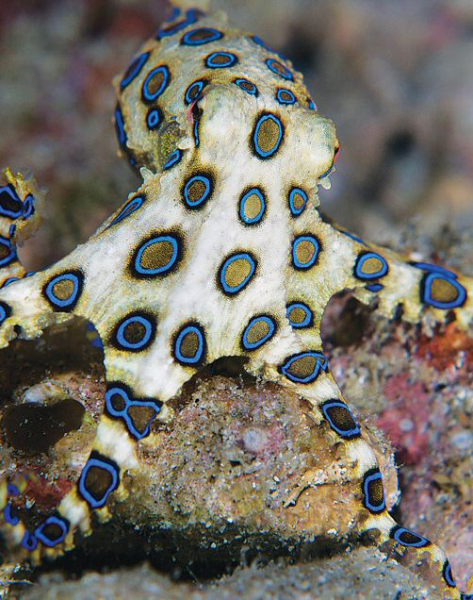 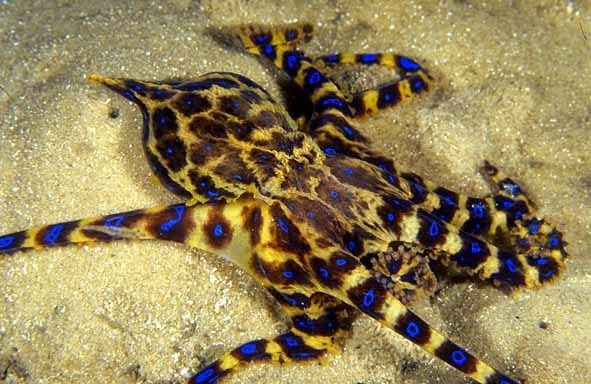 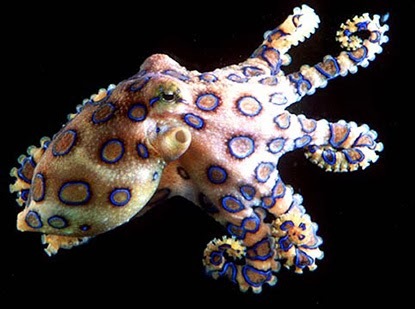 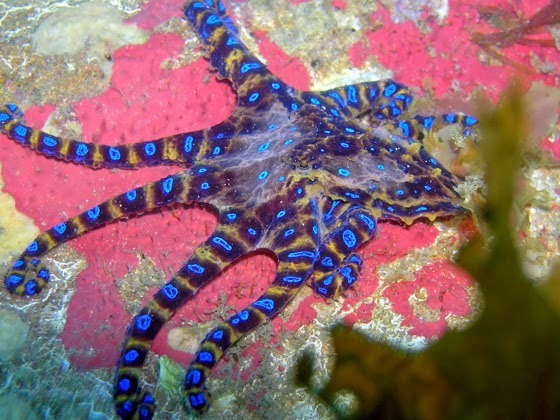 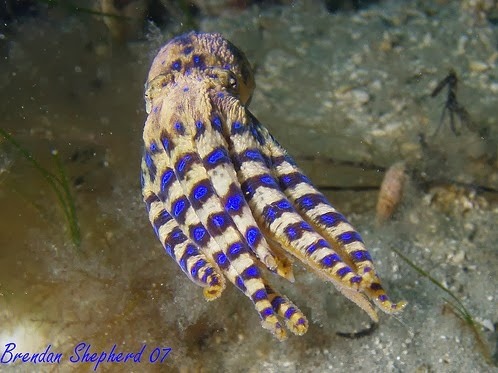 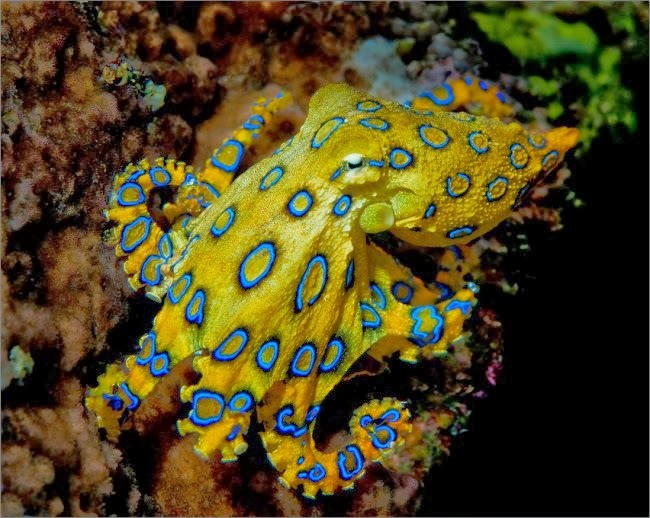 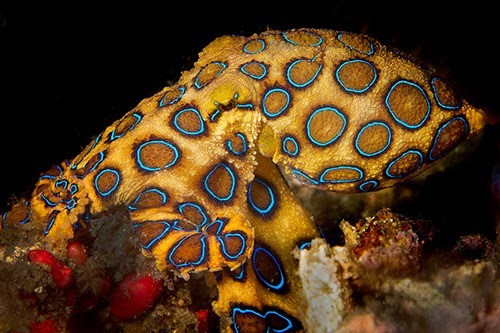 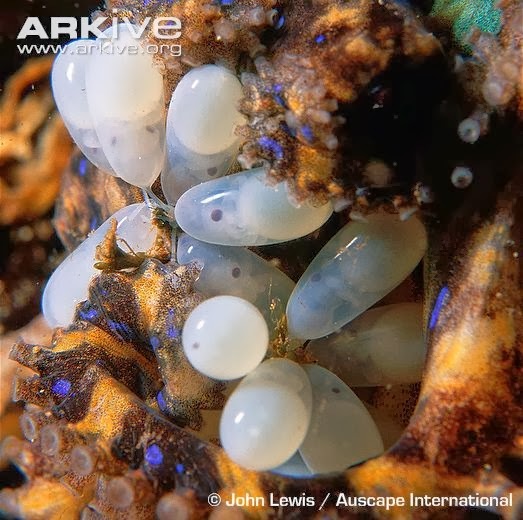 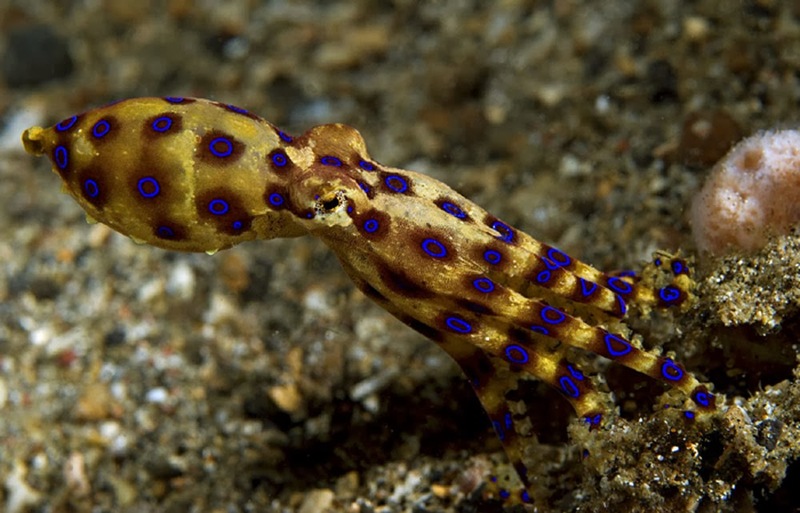 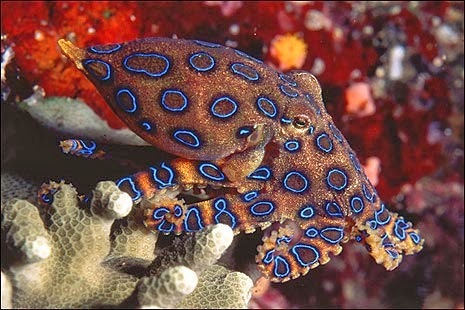 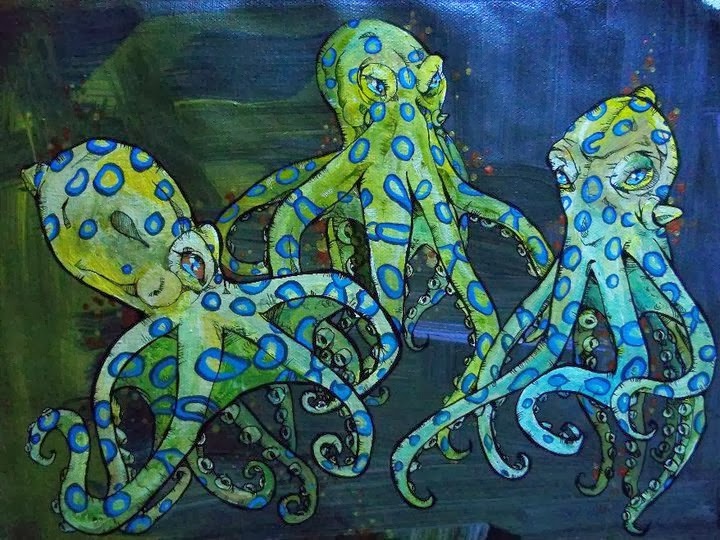 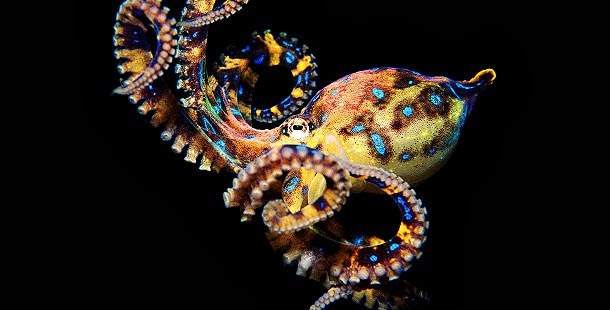 The blue-ringed octopuses (genus Hapalochlaena)They are recognized as some of the world's most venomous marine animals. 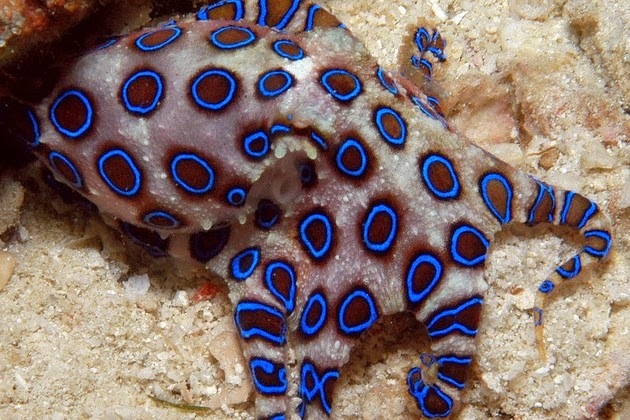 About the size of a golf ball, don’t let its small stature fool you, it holds enough venom to kill 26 full grown adults and as you may have guessed, there is no antidote. 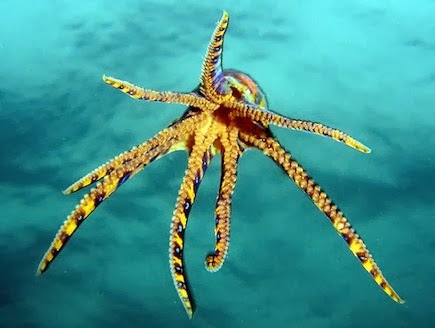 Assuming that your friend ever gets bitten you had better know CPR because you can be sure that within minutes they will be completely paralyzed and unable to breathe. 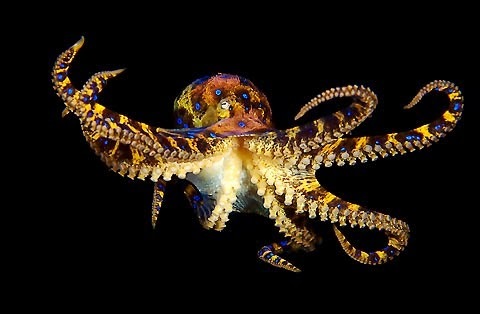 Mother nature, however, shows no mercy and they will maintain their consciousness for the next few hours until the venom is neutralized by their body. 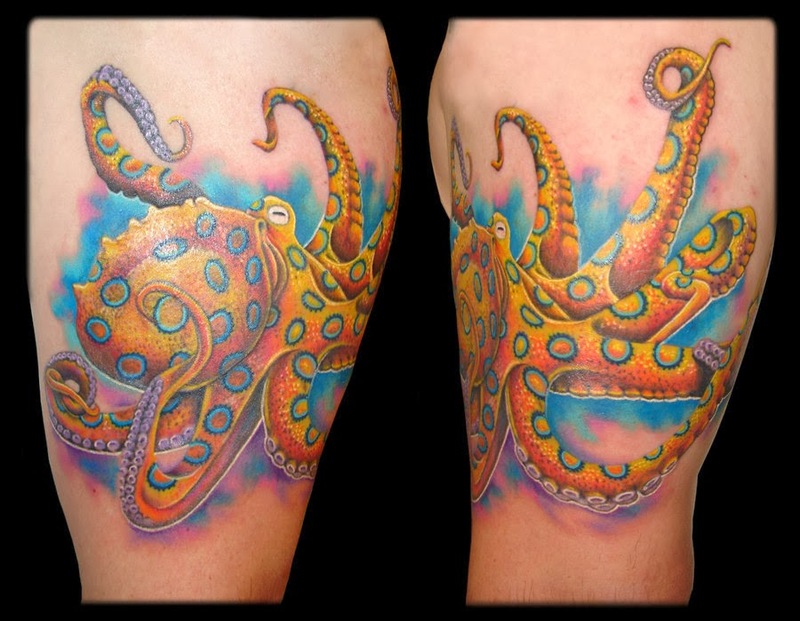 This is of course assuming that you, or someone at the hospital, continues artificial respiration.